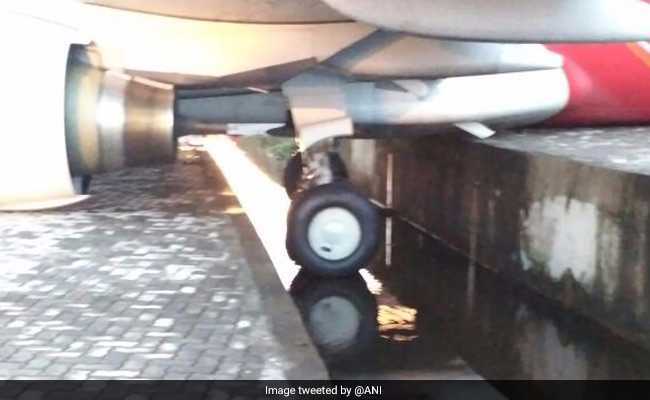 An Air India Express aircraft went off the taxiway and rolled partly into a drain after it landed (flight IX452) around 2.40 am this morning at the Kochi airport in Kerala. All 102 passengers were evacuated safely from the Abu Dhabi-Kochi flight with a ladder. Airport sources say the plane took a turn too soon – about 90 metres before it was supposed to – while approaching the parking bay and went off track. Images showed a wheel of the Boeing 737-800 aircraft (reg. (VT-AYB) stuck in what appeared to be a drain. 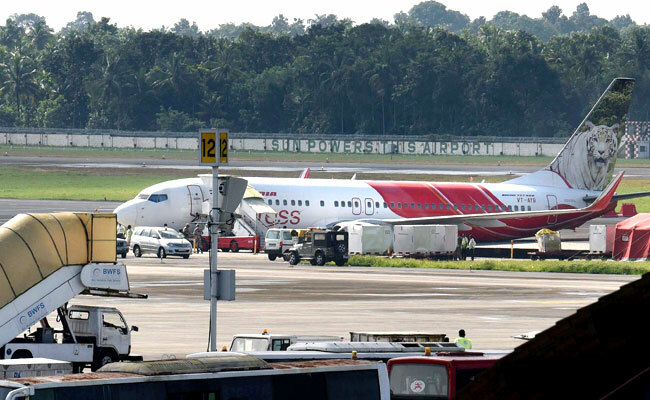 a Cochin International Airport spokesperson said. The aircraft has been grounded. 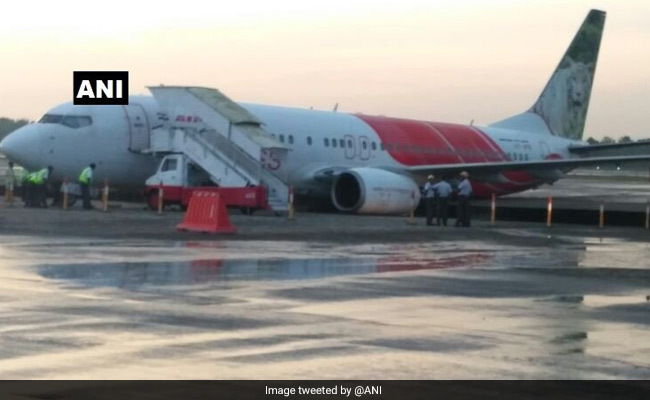 An internal inquiry has started and a report has also gone to aviation regulator DGCA (Directorate General of Civil Aviation), which is investigating what happened.